POMEROY – The popular, annual Meigs County Clean-Up Day will be held Saturday, May 19, from 9 a.m. to 2 p.m. at the Meigs County Fairgrounds at Rock Springs. The event is for county residents to get rid of junk, electronics and tires, and proof of residency is required – no industrial or commercial customers are allowed. Limit is 10 passenger tires per vehicle – tires must be removed from the wheels, no tractor or semi-tractor tires. What you can bring are household items like old furniture, mattresses, toys, tools, appliances and carpet, also reusable items still in good condition for donation including appliances, household goods and furnishing, arts and crafts, office furnishings, equipment and supplies, lumber and building materials, hardware, electrical and plumbing fixtures, steel/metal parts and fixtures, computers, electronics, stereo, audio and visual equipment, collectibles, and antiques. Also accepted are electronic waste including televisions, computers, servers, monitors, keyboards, speakers, printers/faxes, copiers, scanners, UPS and battery back-up systems, any stereo equipment, cameras, camcorders, cell phones, all palm equipment, video game systems and video games, DVD players and DVD media, CD media, floppy disks, any phone equipment, microwaves and toasters. Volunteers will not accept general household trash (garbage), appliances containing refrigerants (without proof that the refrigerant was removed by a certified technician), household hazardous wastes (pool chemicals, cleaners, pesticides, herbicides, fertilizers, fluorescent lamps and ballasts, batteries, medical, infectious or biohazardous waste, liquids). Funding and support is provided through the Meigs County Board of Commissioners, the Meigs Soil and Water Conservation District, the Meigs County Health Department, and Gavin Power Plant. The 14th Leading Creek Watershed Summer Day Camp will be held June 5 and 6 at the Meigs SWCD Conservation Area near Rutland. 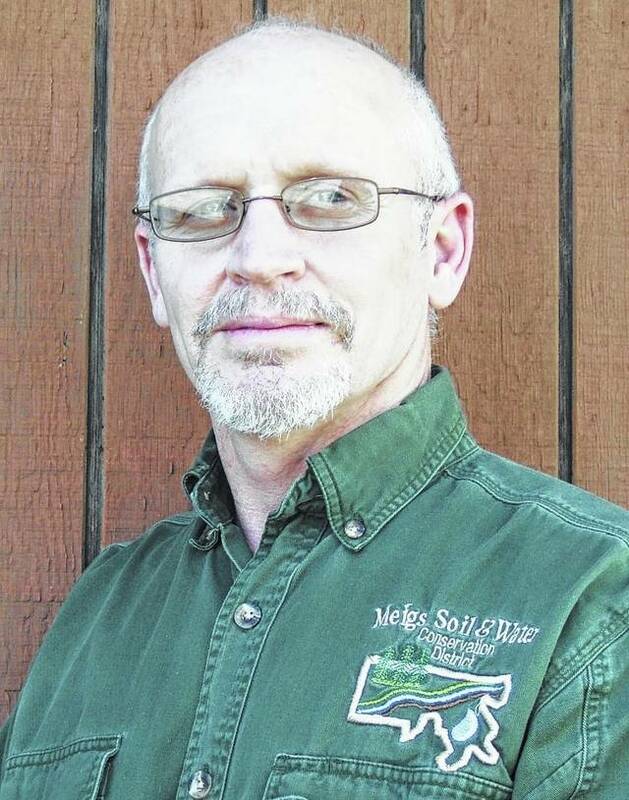 “This year’s topics include fish, wetlands, wildlife, aquatic bugs, coal mining, forestry, tree identification, outdoor cooking, and more,” said Jenny Ridenour, education coordinator with the Meigs Soil and Water Conservation District. New this year will be a demonstration with the new Ohio Division of Wildlife law enforcement canine and a field trip to the United Plant Savers’ Botanical Sanctuary. During these two days, students can participate in a number of hands-on activities to discover the importance of clean water and explore all the critters that make their home in and around streams and forests. All activities at Leading Creek Watershed Camp are designed to engage students in learning while having fun. The camp will be held from 9 a.m. to 4 p.m. with drop off time at 9 a.m. and pick-up ending at 4:00 p.m. The Meigs SWCD Conservation Area is located on New Lima Road between Rutland and Harrisonville. The camp is geared towards youngsters ages 9 to 14, with the entire cost of the camp is provided by funds from the Meigs SWCD and local businesses. There is no fee for campers, and lunch and snacks will be provided. However campers should wear clothing suitable for rugged outside use, and bring plenty of sunscreen and bug repellent. Instructors and staff members at camp are from the Meigs SWCD, Hocking Hill State Park, OSU Extension, Ohio Department of Natural Resources and many others. To register, or for more information, Jenny Ridenour at the Meigs SWCD in Pomeroy at 740-992-4282. Registration forms can be found at www.meigsswcd.com. Registrations are due by May 18 and will be limited to the first 50 campers.